There are I-don’t know-how-many shades of MAC lipsticks available in 8 different finishes. Today I have Please Me from their Matte finishes range. Each lipstick comes in a sleek black tube with 3g of product. For being so obsessed with makeup for such a long time, it is quite unbelievable that I got my first ever MAC product just a few weeks back. In Pakistan, MAC was not such an easily available brand and when I came in Germany I was fascinated by so many other high-end names that I forgot to indulge in MAC. 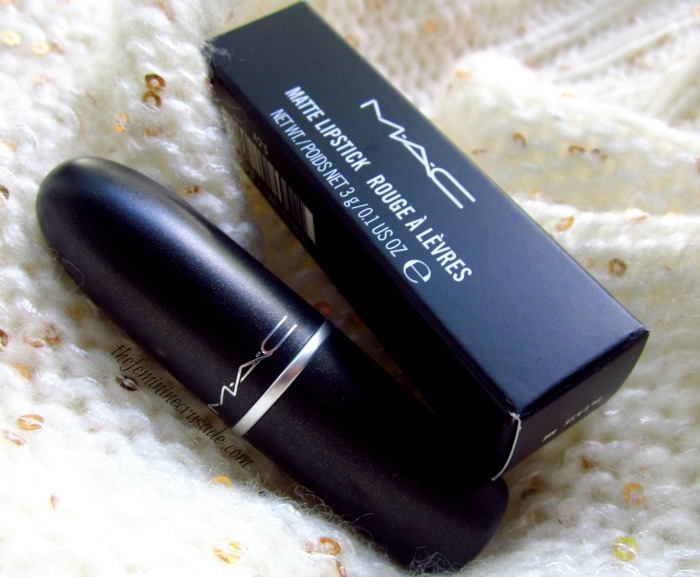 For my first MAC product, I went for the first thing I love to hoard – lipsticks. And that too a lipstick that I could wear everyday. I have loved Please Me from the minute I swatched it, even though it is matte, but I have heard it is MAC’s good matte formulas, not as much as drying as the others. 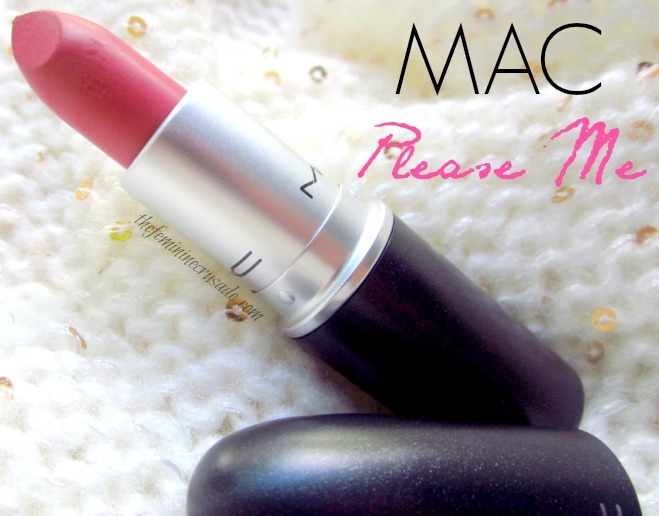 Please Me is a very lovely “muted rosy tinted pink” in MAC’s words. When I first bought it I kind of regretted it. 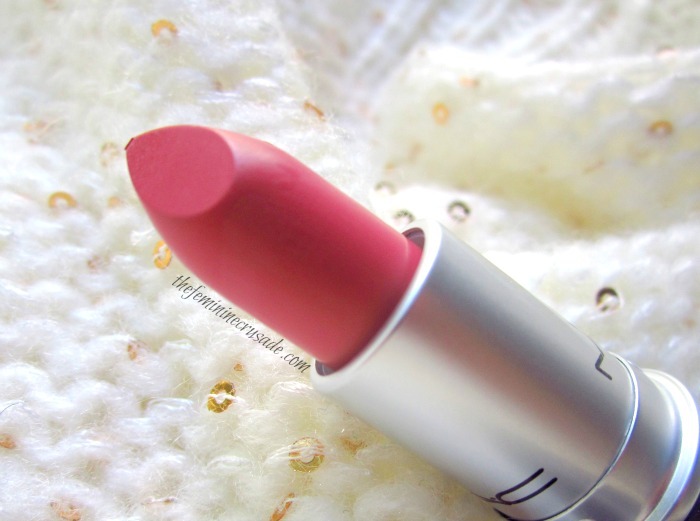 I found it very matte, it emphasized my lip imperfections badly and the colour felt a little pastel-y. But was I going to give up that easily on my supposedly dream lipstick? The next time I started using it with more prepped lips. I have continuously been applying it over the Live Beautifully Lip Primer and the whole first impression has changed drastically. I have grown to love this lipstick, this colour so much. It is a very feminine, girly everyday pink colour which is quite pigmented. Being a lighter shade, the lipstick lasts 4 hours on me. It is quite comfortable to wear. If you well exfoliate and moisturise your lips, the matte is not that much of a horror, since I personally have started to find mattes very uncomfortable to wear in the dry weather of Germany. It’s a beautiful colour. I am so glad I picked this! I could wear it matte or make it glossy, I always keep it in my handbag.